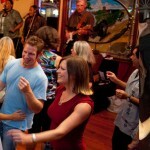 The Ballroom of Huntington dance studio, located in Suffolk County, Long Island, specializes in private dance lessons as well as group dance classes for all the popular dances including: Argentine Tango, Salsa, Swing, Chacha, Bachata, Merengue, Rumba, Waltz, Foxtrot, Samba, and Quickstep. Just to name a few! 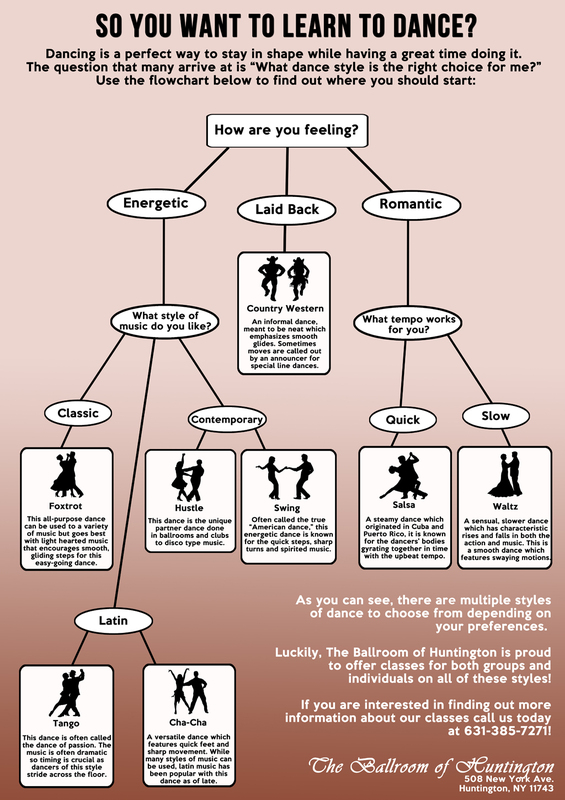 Please click on the graphic below if you're unsure of which dance style would be the best fit for you!